The good news is these imperfections, and others, can be treated with intense pulsed light (IPL) treatment. Unlike traditional laser treatments which focus one wavelength of light on patients’ skin, IPL releases light of varying wavelengths. This light is also more scattered than the light used in common laser treatments. IPL penetrates the second layer of your skin without harming the top layer. This process limits damage to the skin. The pigment cells in the skin absorb the light energy and convert it into heat which destroys the unwanted coloring or hair follicles. Treatment can be applied to any part of the body but may not be as effective on areas with uneven texture. Even if you have these imperfections, however, you should discuss all your options with your skin care specialist to determine if this treatment will work best for you. Let your treatment provider know if you have any skin conditions that could affect your post-procedure healing process, such as inflammatory acne or eczema. Your specialist may recommend you avoid certain activities, medications and other products for up to two weeks before treatment. Your treatment provider will begin by rubbing a cool gel onto your skin to clean the target area. From there, they will apply light pulses from the IPL device to your skin. You will need to wear dark glasses to protect your eyes during treatment. Treatment times vary depending on the part of the body and size of the area being treated, but it generally lasts 20 to 30 minutes. Many patients receive three to six treatments to achieve their desired results; hair removal will require six to 12 treatments. When scheduling future appointments, ensure they are spaced one month apart to give yourself time to heal. Rosacea and acne scars usually react to a single IPL treatment, though additional procedures may provide even more benefit. Skin tone will appear less reddened within one week after treatment. At Virginia Surgical Arts, Dr. Vendetti utilizes industry-leading Palomar® lasers for IPL Photofacials, which offer comfortable and effective treatment of rosacea and acne damage. Results vary based on the issue being treated, but patients will generally see clearer skin two weeks after their final treatment. Sunspots/Sun damage – Spots will darken after treatment and naturally shed from the skin within one to two weeks. Rosacea – Skin redness will fade within one week. Spider veins – Visible blood vessels may disappear after treatment or appear darker, then fully or partially fade within 10 to 14 days. Angiomas – Spots may disappear following treatment or appear darker, then fully or partially fade within 10 to 14 days. Patients can expect a mild sunburn-like sensation immediately after treatment that may be accompanied by minor swelling. These side effects typically last two to 24 hours and can be soothed by applying cold gel or ice packs. You only get one body, so you should be happy with the skin you’re in! 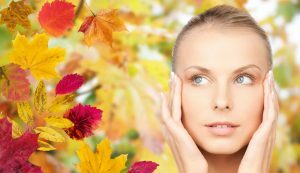 If you have skin imperfections you want gone, consider Palomar® IPL Photo Therapy from Virginia Surgical Arts in Virginia Beach. Visit our IPL gallery to see the enormous success we’ve had helping clients regain their self-confidence. Request your consultation appointment with Dr. Vendetti online or call (757) 430-7690 today!